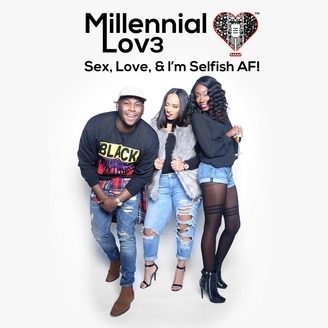 The Award-Winning Podcast, where 3 Black millennials from the South are just trying to figure it all out while slidin thru, givin you that REAL, throwin some shade & prayin that 90's R&B comes back! Every Sunday @ 8pm CST! Instagram @millenniallov3 Miché: @your_augustrush Justin: @justinbobby84 Cara D.: @iamthecarad Twitter @millenniallov3 Miché: @PRincess_miche Justin: @neverrbreak_flyy Cara D.: @iamthecarad Wanna give us feedback or say heyyyy? Hit us: info@millenniallov3.com Wanna give us coins? Throw sum mo: CashApp: $MillyLov3 PayPal.me/MillennialLov3. So this week Miché, Justin, and Cara D. dig deep into there experiences in their career and discuss burn out and being in a work funk. There are times are when we all don't feel like waking up and kicking a** at work but then there are other days when we BEAST it out. Listen as we discuss the difference between the two and how to get back on track of beast-ing it out even when it's tough. Please make sure to tweet us your thoughts and make sure to hashtag #ML3! Visit our website for more info: www.millenniallov3.com! Follow us on social media! 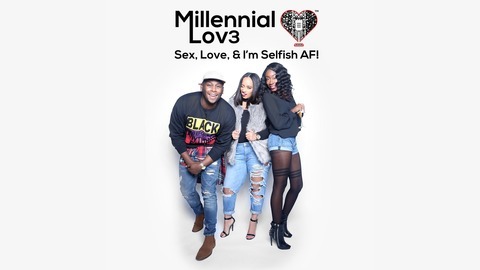 Instagram: @millenniallov3 Miché: @your_augustrush Justin: @justinbobby84 Cara D.: @iamthecarad Twitter: @millenniallov3 Miché: @your_augustrush Justin: @neverbreak_flyy Cara D.: @iamthecarad Wanna give us feedback, say heyyy, or give us some Millennial Moment material? Hit us: info@millenniallov3.com. Go to www.bioclarity.com and enter the code LOV3 at checkout for 40% off all skincare routines and 15% off the entire website!